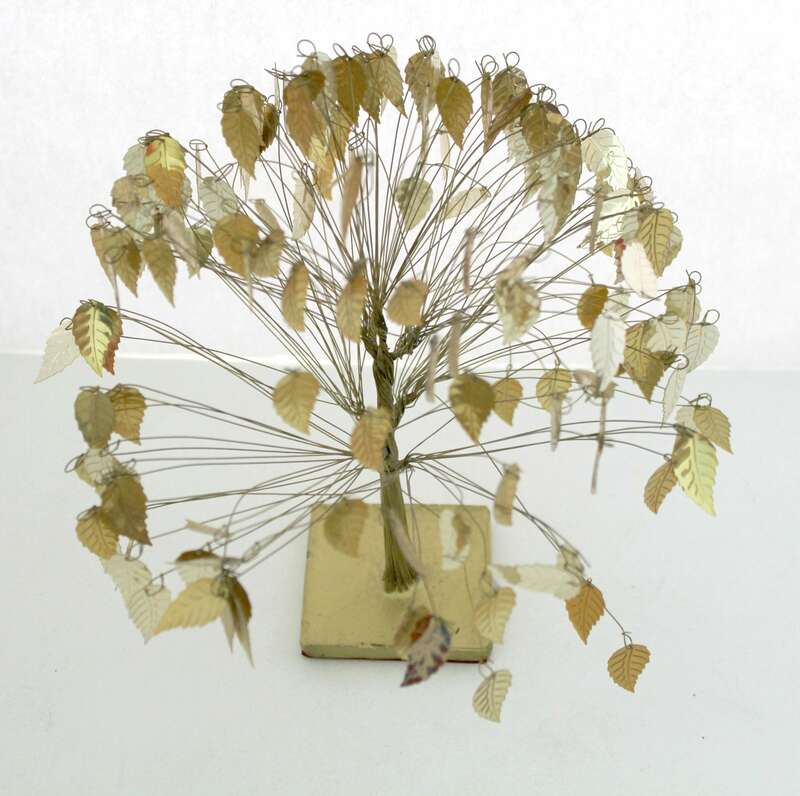 Gold Leaf Tree, Mid Century Golden Leaves, Small Vintage Metal Tree. 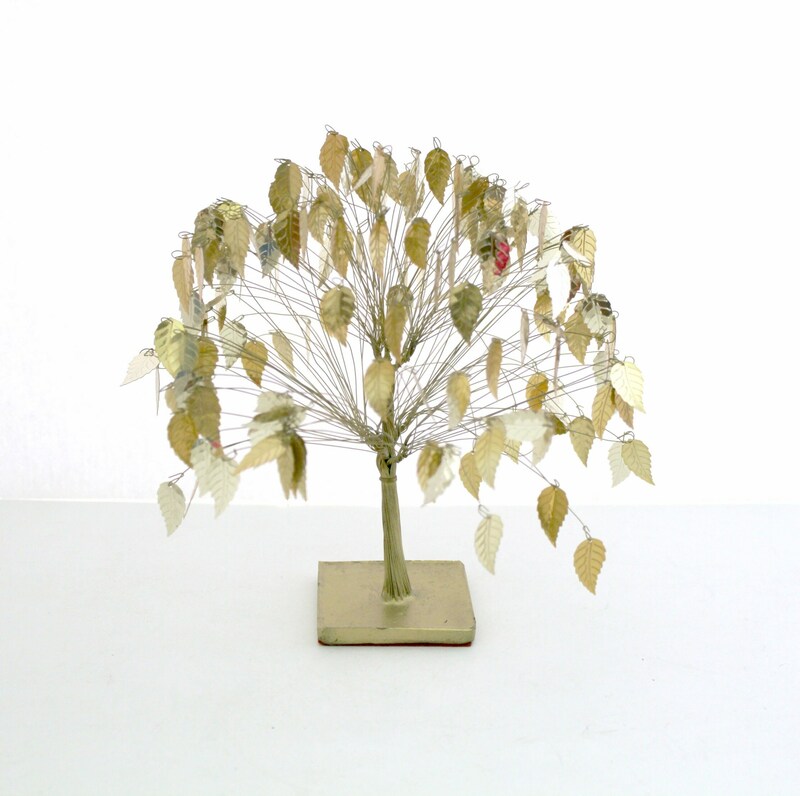 This is a nice small size vintage golden leaf tree wire metal sculpture. 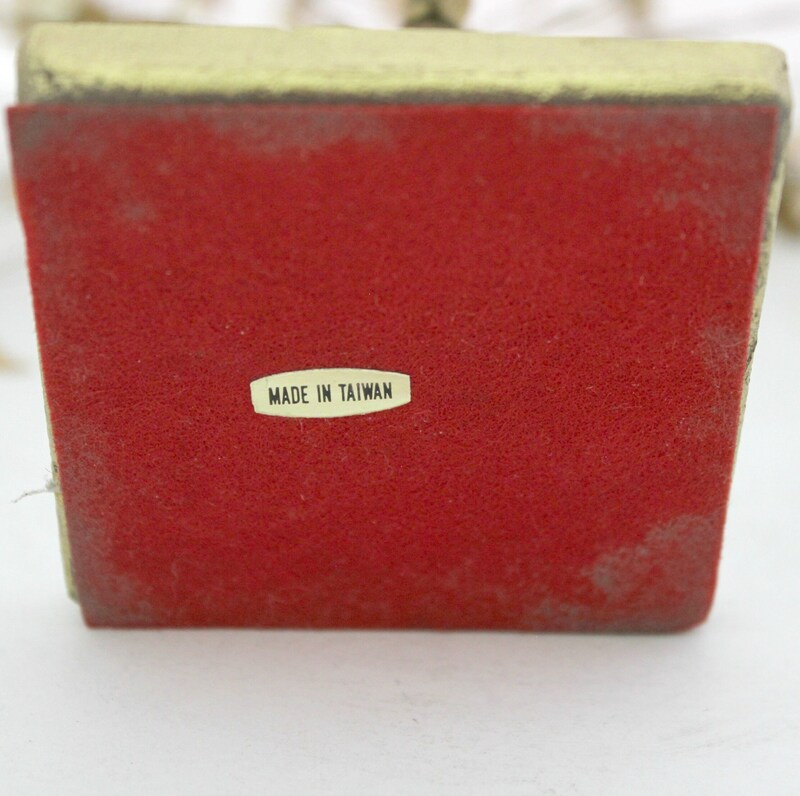 The tree stands about 8" tall and 8" x 8" wide as shown, but these measurements are somewhat variable due to the position of the leaves. 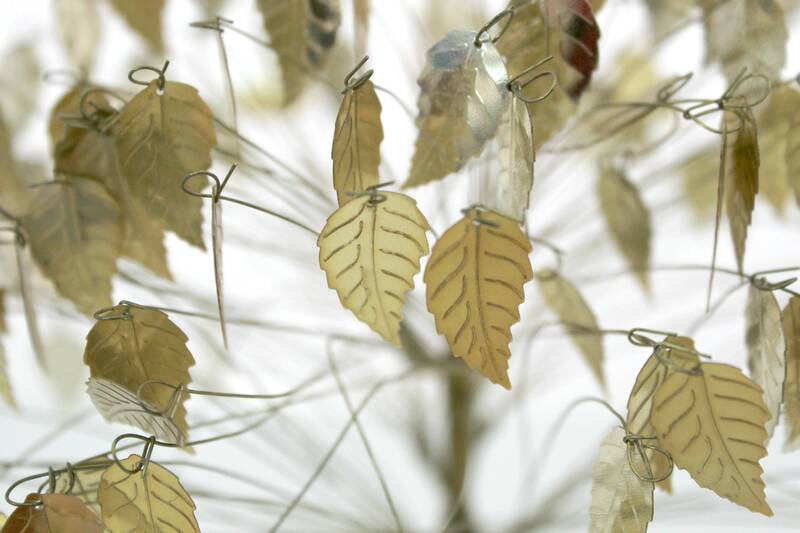 Each gold toned leaf is attached to its own thin wire allowing you to position each limb and leaf as you like. 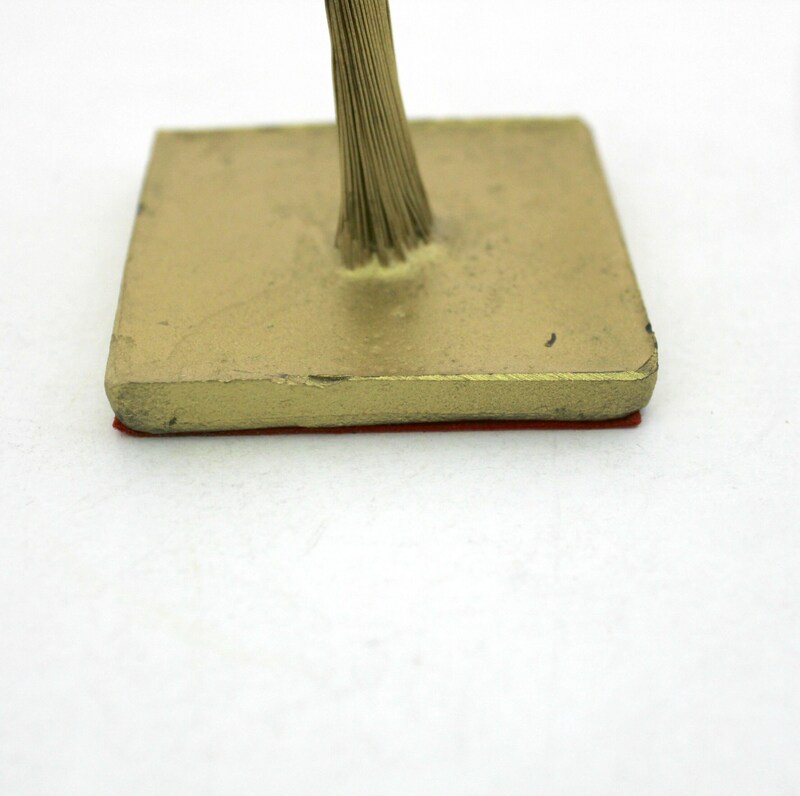 The base has minor wear to the gold finish. I don't see any missing leaves.